William Purcell, who is best known for the Prairie School buildings he designed with his partner, George Elmslie, designed this house after the Purcell & Elmslie partnership was dissolved. The client was Henry M. Peterson, a builder and developer. As with all the houses on this side of Red Cedar Lane, the house is one story on the front and two stories on the back. The focal point of the house is its Gothic arch front door framed by multi-colored stonework and a heavy timber eyebrow supported by thick wood beams. Notice that there are no vents or other breaks in the roof. This is typical of Purcell, who liked an uninterrupted roof. He always stipulated that vents should be incorporated into chimney stacks. Also typical of Purcell’s work are the thick wood beams that project beyond the walls on each end of the front façade. The driveway is slightly curved – just for fun. Sliding garage doors are glazed with dark green glass. The interior walls of the lower-level living room are faced with logs. Peterson also commissioned Purcell and his partner Frederick Strauel to build seven speculative houses in the neighborhood. 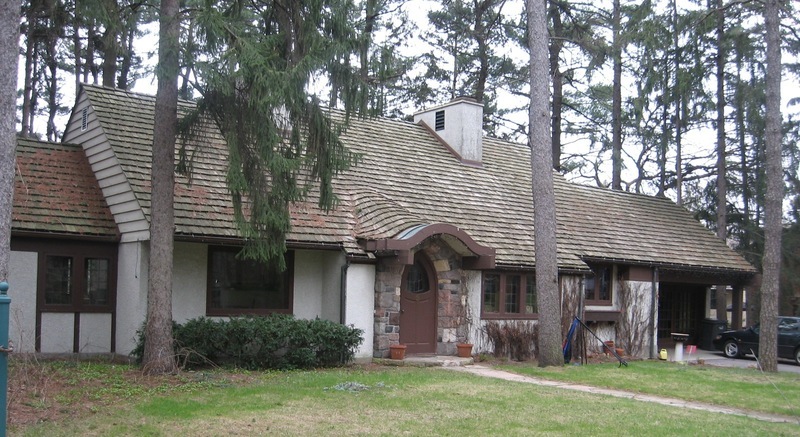 Richard L. Kronick, “Henry Peterson House • 3 Red Cedar Lane,” Minneapolis Historical, accessed April 22, 2019, http://minneapolishistorical.org/items/show/111.